Los Angeles, California, April 5, 2018 – The ONE Archives Foundation, Inc. is pleased to announce its 2018 LGBTQ Research Fellows. The ONE Archives Foundation received 60 applications for the inaugural year of the LGBTQ Research Fellowship Program, which offers limited-term research fellowships to support scholars engaged in graduate-level, post-doctoral, and independent research conducted at the ONE National Gay & Lesbian Archives at the University of Southern California (USC) Libraries. Nine Fellows have been selected. “We know that the need for research around LGBTQ history is critical, which is why the ONE Archives Foundation is providing this important resource to contribute toward deeper scholarship around LGBTQ history and its importance in advancing social change. The Fellowship program further enhances the ONE Archives Foundation’s LGBTQ education initiatives.” said Jennifer C. Gregg, Executive Director of the ONE Archives Foundation. Fellows are invited to conduct research between May 2018 and December 2018. Desired outcomes include scholarly writings, publications, and media and art projects. Fellows receive up to $1,500 to support their research. Each fellow is required to write a blog post or report of approximately 500 words about the project and work completed at the ONE Archives at the USC Libraries by the end of the award period. This text and accompanying images may be published by the ONE Archives Foundation, Inc. and ONE Archives at the USC Libraries. Please visit http://one.usc.edu for detailed information about the research resources of the ONE Archives at the USC Libraries. For more information about the LGBTQ Research Fellowship Program, please visit: http://www.onearchives.org/fellowship. The ONE Archives Foundation, Inc. is the independent community partner of the ONE National Gay & Lesbian Archives at the University of Southern California (USC) Libraries, the largest repository of Lesbian, Gay, Bisexual, Transgender, Queer (LGBTQ) materials in the world. 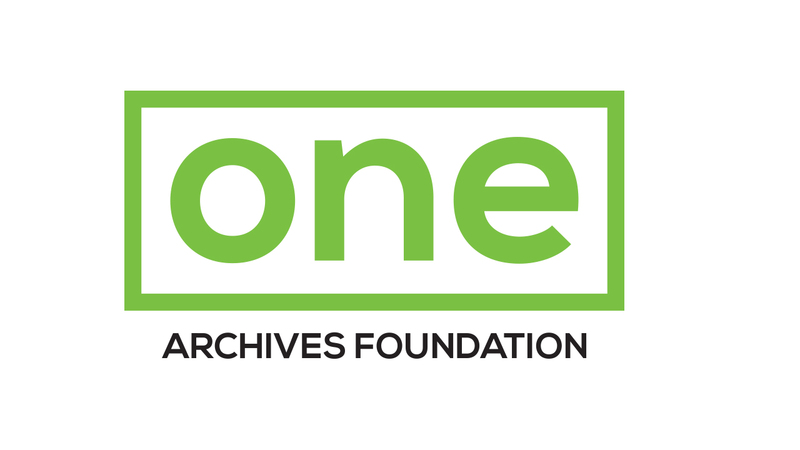 Founded in 1952 as ONE Inc., the publisher of ONE Magazine, the ONE Archives Foundation is the oldest, continuously operating LGBTQ organization in the United States. In 2010, the ONE Archives Foundation deposited its vast collection of LGBTQ historical materials with the USC Libraries. Today, the ONE Archives Foundation is dedicated to promoting this important resource through diverse activities including educational initiatives, exhibitions, and a range of public programs. To learn more, visit: www.ONEArchives.org.